@kjayhawks Those QB’s were when his offense was at it worst. Miles’ best teams have always been with a pro style QB under center. Jamarcus Russell, Jarrett Lee, and Zach Mettenberger were the 3 best QB’s Miles had as far as on field success went for Miles at LSU. @Texas-Hawk-10 I think a lot of it would depend on who he gets as an OC, he may decide to change stuff up from how he was at LSU. I highly doubt KU gets ether guy to town lol. @kjayhawks I believe Les Miles is very much a realistic possibility for KU if he wants the job. I think that’s the biggest reason why Jeff Long brought in Mike Vollmar. I think that’s why Long hired Chris Freet this week to basically run the PR side of KU Athletics. Miles may be 65 years old, but he’s still very active and doesn’t look his age at all, I assumed he was in his late 50’s/early 60’s, not his mid 60’s. I think he could go another 10 years if he really wanted to. Even looking big picture, Les Miles gives KU a great shot at retaining Tony Hull because there’s a known previous relationship there because Miles recruited from Hull’s school and it also gives KU a great shot to keep the current Louisiana players around as well keeping that pipeline open. Because Miles isn’t an active coach right now, Long can be in communication with Miles as much as he wants to be to gauge interest. I’m sure already knows if Miles is interested and/or willing to take the job next season. If David Beaty is retained throughout the season with little to no improvement on the field, I think that’s a good sign that Les Miles is coming to Lawrence and that it would happen fairly quickly after KU’s season is over. I believe it play out with Beaty getting fired the Monday after the Texas game, and Miles would be announced the following Monday after the B12 title game and have his staff together before bowl season starts. If Miles decides that he doesn’t want to take the KU job, I think we’d see Beaty fired at some point before the season is over without on field improvement. @kjayhawks Also, Les Miles is an offensive guy and calls his plays and run his offense regardless of who his offensive coordinator is. He’s had OC’s from different backgrounds, but LSU’s offense never changed because it was Miles system. Les Miles is a stop gap coach at best. Even if he were to take the KU job, because of his age, he would probably only stay at KU for 5-7 years, coaching into his early 70s at most. Now, perhaps that gives him time to groom a replacement, but Miles does not solve KU’s problem because you have to start planning for the next hire basically the day he starts because he will turn 70 during the 2023 season. That’s why my focus has always been on younger coaches. KU’s best chance to get out of this rut is to build a program, and the best bet for doing that is hiring a coach that may stay at KU for the next 15 years or more. While that shouldn’t be the only criteria, it should certainly be a criteria. Hiring Miles means you have to nail two coaching hires. @justanotherfan If a younger coach does well at KU, they aren’t staying at KU. That’s the problem with a younger coach and you may only get 3-4 years if they start getting KU turned around. You hire a guy like Miles and let him choose his successor, the transition is much smoother and you’re not doing a real coaching search. My concern is that often, those successor plans go poorly. Very few coaches that have handpicked their successor have seen that coach do well after they left. I could give a damn if they hire an old fart or a young gun, I just want to see 6 wins lol. @Kcmatt7 I agree, I dont care about how long the next guy will stay as long as he brings the program back to life. @Texas-Hawk-10 Interesting take, I think Miles would be a good hire to get people fired up about the program instantly. I do think Les Miles would be a great hire. He is a very above average football coach who has already revived a Big XII school once in his career. If we felt good that Les had 5 more good years in him, I’d be more than ok with the hire. I mean between his first and last seasons, Les won 7 or more games every regular season. 14 straight years in a bowl game. As @kjayhawks said, it would, at the very least, resurrect the program to the point where the next hire isn’t absolutely screwed. If we hire a young guy, the buyout needs to be absolutely absurd. @Kcmatt7 I just don’t see any quality young coach agreeing to a huge buyout if they leave KU to take a better job. @justanotherfan If KU got 5+ years out of Les Miles, that’s something that rarely happens at KU. In the entire history of Kansas football, only 5 coaches have been at KU for 5 or more years (not counting Fambrough who had two 3 year long runs). 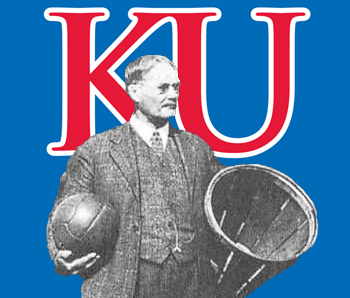 Beaty is currently sitting in 10th on the all time games coached list at KU. No coach in KU history has been at the school more than 8 years. Glen Mason and Jack Mitchell are it. Les Miles coaching for 5 years puts him somewhere between 60 and 70 games coached at KU which would rank anywhere from 8th if he only coached 60 games and 5th if he got to 70 games. Actually he’d be in 5th place of he got 65 games coached. If he went 7 or 8 years, he’d be very near the top of the list of all time games coached and would probably be at the top of the all time wins list at KU if he averaged 6.5 wins per season over 8 years. Les Miles is the type of coach that can play a great foundation fo whoever followed him and could actually make KU an attractive place for someone who could stay for another 7-8 year run. If you’re trying to persuade someone against Les Miles by saying that he might only be here 5-7 years, that’s a really weak argument considering you can still count on one hand the number of coaches who have done that in the history of program. @Kcmatt7 Just guessing that @Woodrow was expressing shock that anyone would think it is possible, not saying the thread was inappropriate for the board. @Texas-Hawk-10 Agreed, it’s unlikely a up and coming coach would come here if the contract included an enormous buyout. But I still wouldn’t hire a young guy without one. My point is that KU has struggled in football, which has led to short coaching tenures. If KU finally finds a coach that is good, that needs to turn into a long run to start generating some tradition. Miles probably won’t do that, meaning best case he’s another Glen Mason, which could be followed by another Terry Allen. @justanotherfan Terry Allen at Kansas was a lot like Bret beliema (spelled wrong) at Arkansas. Allen won 7 straight conference titles at UNI and never had losing record, similar to Bret at Wisconsin. The similarities are they both started at programs that were already built and didn’t have to build them. I don’t want a coach that has only proven they can maintain, we need a guy that has proven he can build. Sadly Terry Allen would be better than what we have had since MM left. I think Glen Mason was a decent coach, people forget how inconsistent the program was under him. He finished here with a losing record and is only 2 game above .500 for his coaching career. IMO we can’t take a chance on position coach or a coordinator, we have to pay whatever it takes to get a proven builder. When a person thinks about our last 3 hires, they all never built anything and weren’t even decent hires on paper. Gill had 1winning season in 4 at Buffalo, he’s doing decent now at a place that won at least 7 games each of the last 5 seasons before he was in town, basically he can maintain. Weis was a laughable hire, a guy that couldn’t win at one of the most prestigious football programs. TY Willingham left him some highly recruited guys and as soon as those guy left Weis ran it into the ground. So he isn’t even a maintainer. Beaty not only had zero experience as a head coach but only one season as a coordinator at Rice on a 3-9 team. It just makes our ADs look like idiots that did little or no homework. Wait what. Cam Cameron, Matt Canada, and Jimbo Fisher 100% called plays. Les changed the call once in awhile but he never was the every down play caller. Unless he had a magic invisible call sheet with him during every game. @JAYHAWKFAN214 Interesting, have they named a new coach yet? @kjayhawks Chad Morris is the coach at Arkansas.